If you live in the US, you might have had the good fortune to see the eclipse that occurred earlier this week. Did you notice the way the light falls through the trees and creates little moon-shaped shadows rather than the typical dappled light? 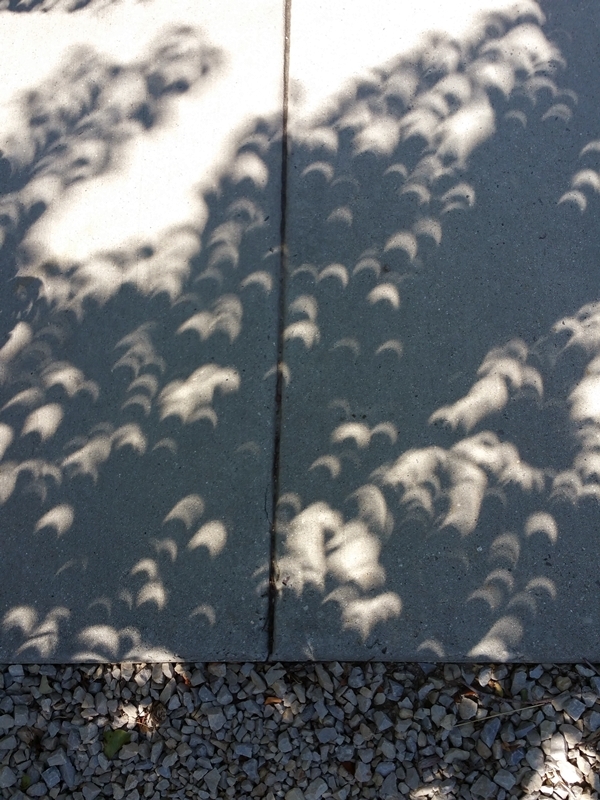 Here's what the shadows looked like on my sidewalk--you can actually see the eclipse with each separate shadow. Neat, huh? 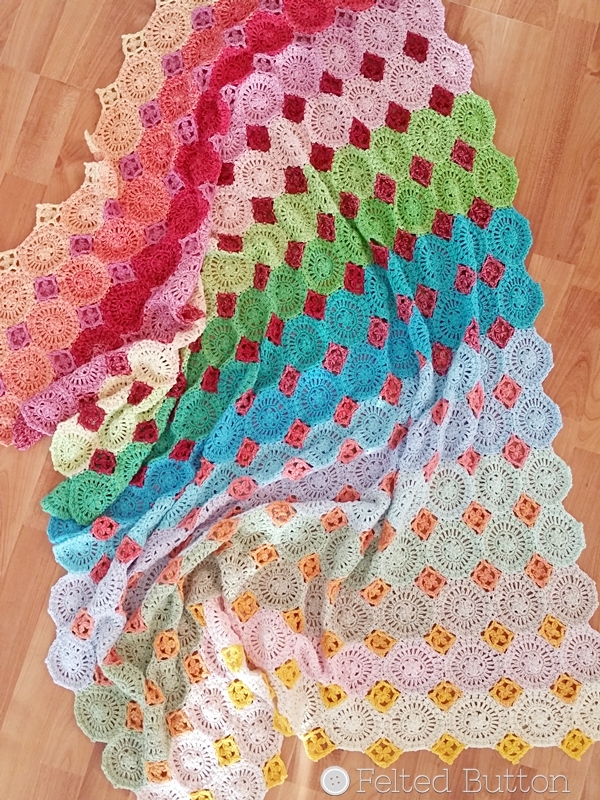 I made this blanket with three cakes of Scheepjes Whirl*. Admittedly I didn't have a plan when I bought them. But I knew that I wanted to make something with all 3 together. When I finally settled on my idea, it was a bit of math, lots of playing with varying motifs, and a hope that my loose calculations would work as the colors played with each other. I must say, I'm pretty pleased with the colorful result. The blanket is worked join-as-you-go so when you are finished, you are finished. And there's no need to arrange motifs to get colors anywhere particular. This layout literally flows off your hook. 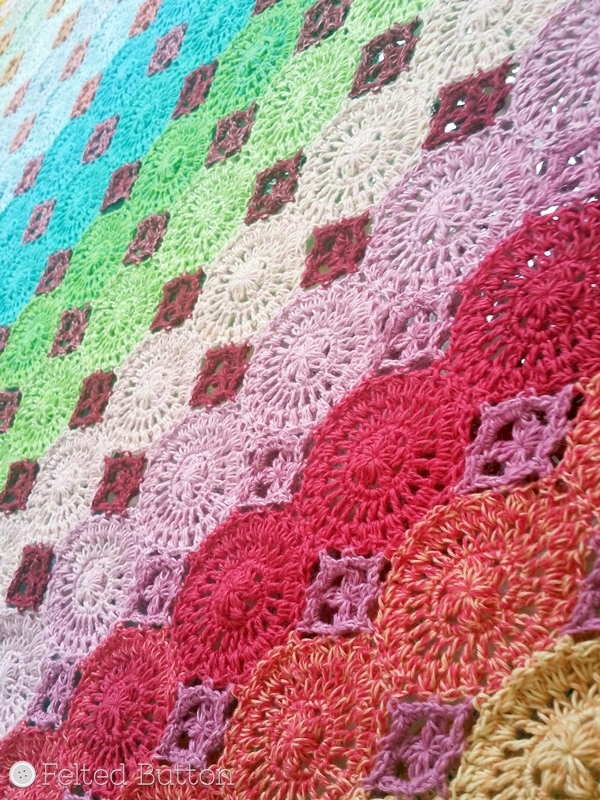 I also like that the blanket has an heirloom quality--almost like wee doilies--with a modern vibe. 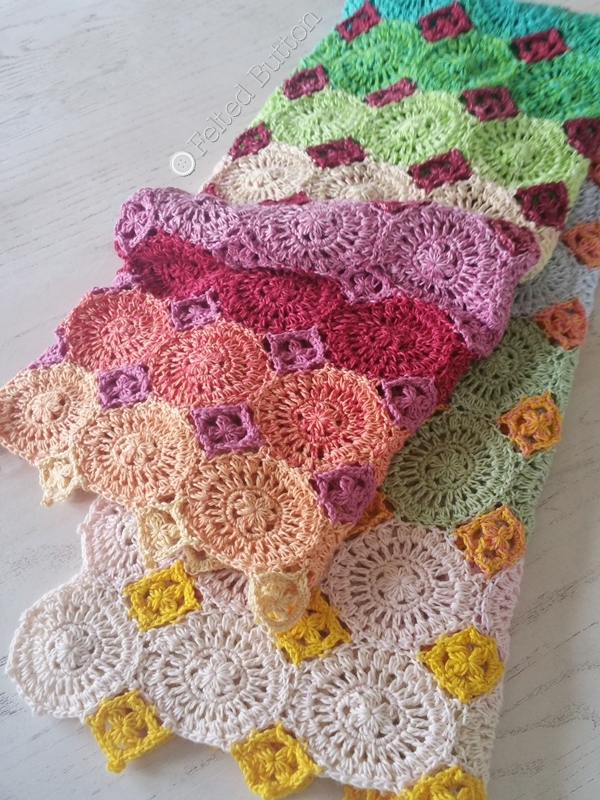 This is not your granny's crochet, but could have been if she could have gotten her hook into this yarn! 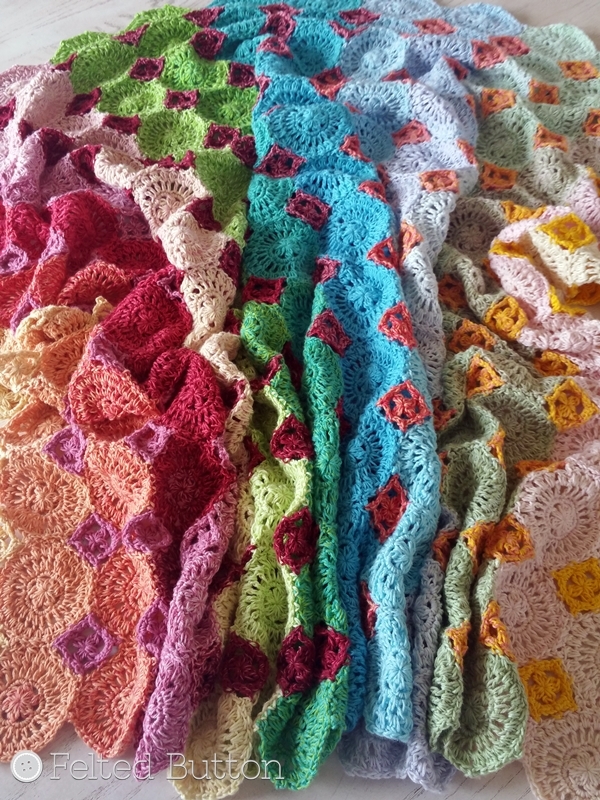 I also think the size as written--43” X 54” (109 X 137cm)--is ideal for a little one to really wrap in, but perfect for a lightweight blanket over your lap with a Netflix binge happening. The motifs are lacey enough to have an elegant feel-but there are no holes, either. I like that. And the drape--oh, the drape. Well, the yarn is magical with that. I used a 3.75mm hook which seems to have a perfect result. 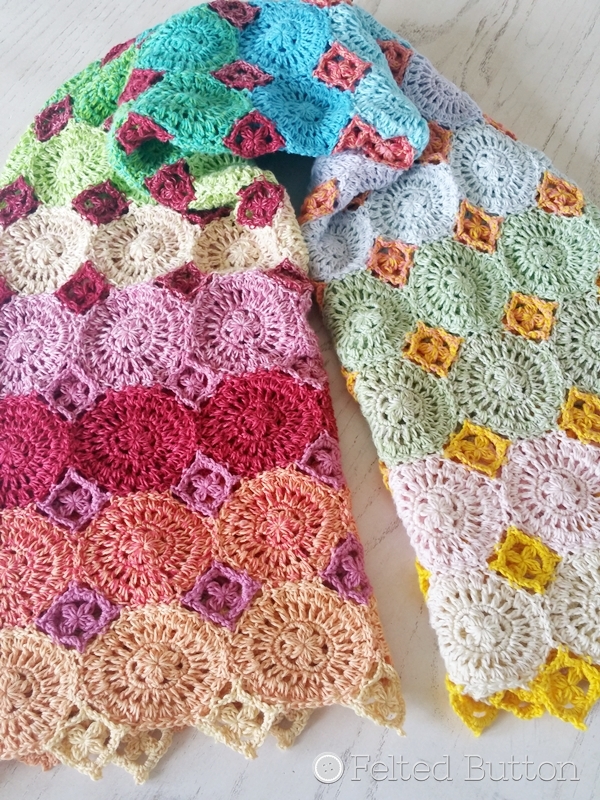 I rated the pattern as Intermediate only because of the joining, but it's super easy once you've done a motif or two. The motifs themselves are super simple and I included lots of notes to help you through. You can read more details about the pattern in the Ravelry listing here and snag your pattern or on Etsy here or LoveCrochet here. 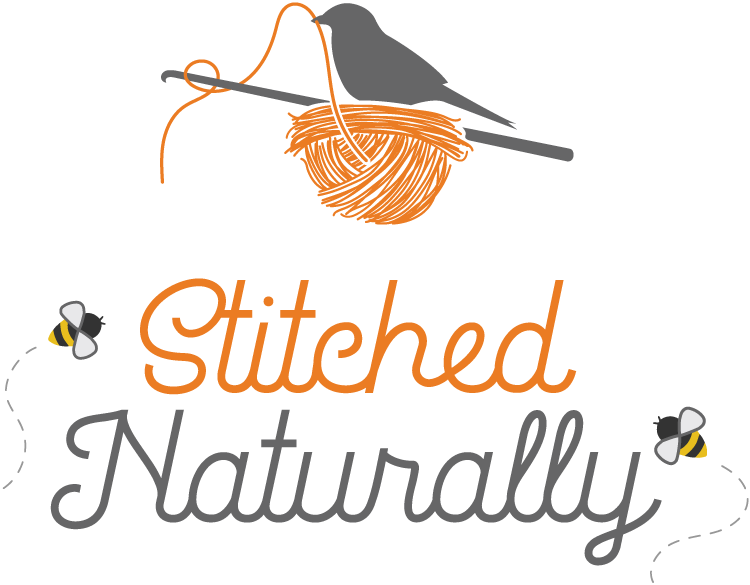 If you have not seen this amazing yarn, you NEED to! My brain is a-whirling (pun intended) with ideas for designs with this yarn. Let me show you how my color-crazed brain went to town. 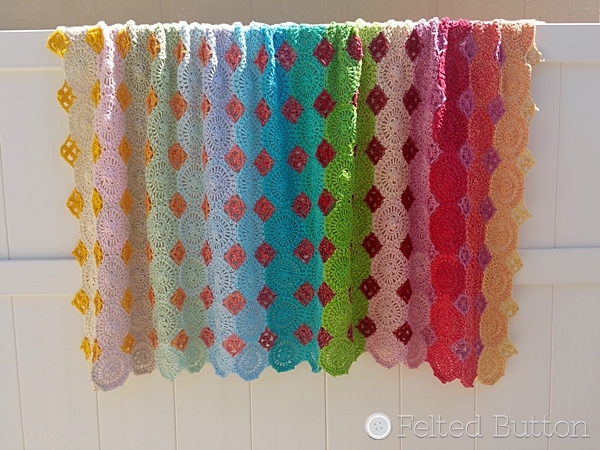 I sorted Whirl cakes into groups of three that I thought might look pretty together with this Lightfall Blanket. And remember, you can pull from outside to inside, if the colors might play better that way. They all have international shipping, too, so no worries if you are other places around the world. 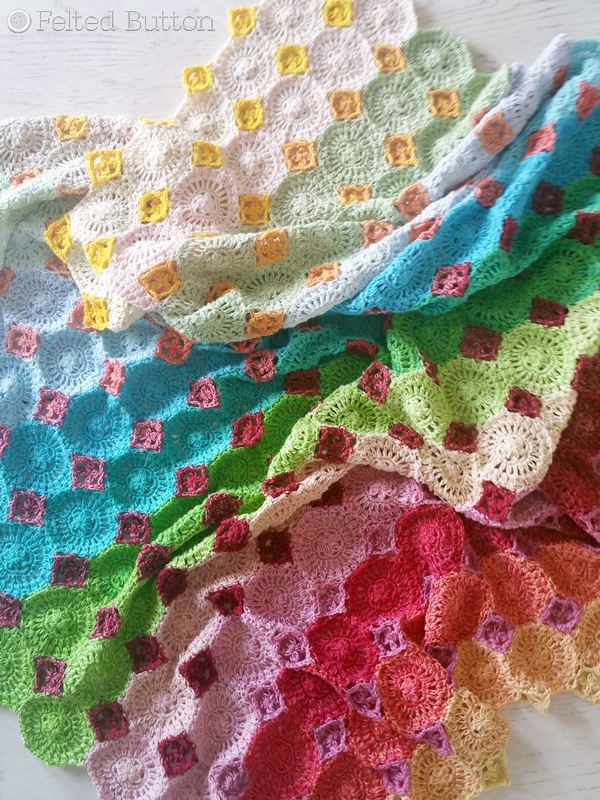 Pick up the Lightfall Blanket pattern in any of my shops--Ravelry, Etsy, Craftsy or LoveCrochet. Share your color combos with me on Facebook here, Instagram here (tag @FeltedButton) or Pinterest here. I love to see your Felted Button creations. 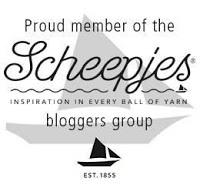 I'm off to the Netherlands for Scheepjes Blogger Days and can hardly wait to see my fellow bloggers, fondle some yarn at the Scheepjes warehouse and have lots of hooky time. Be well. I'll be back soon! | On the Board | -- Stop hating yourself for everything you aren't and start loving yourself for everything you are. What are your thoughts on two colors for body, and one for the middles? I think if you work the first of the two from inside to out and the second of the two from outside to in (or vice versa for both), and then the contrasting second color through the middle diamonds, it would be beautiful! Thank you! Say no to holes! Stunning, have to make this!!! Woooow, this is really an amazing blanket!! 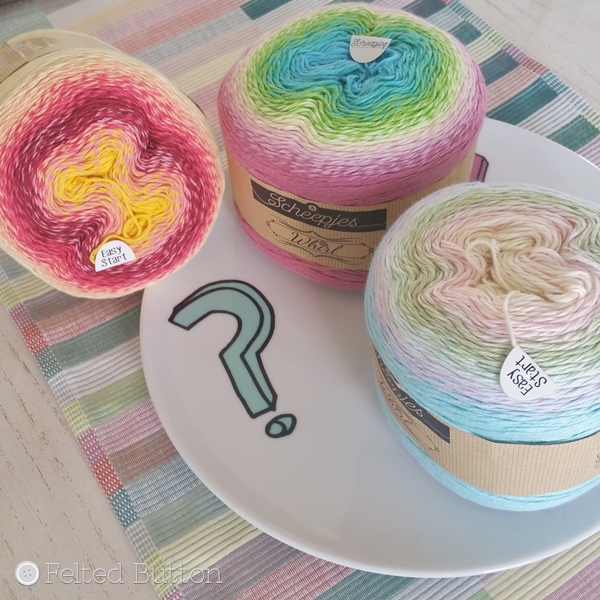 I really love the colours and the 'simple' effect of using these 3 swirlcakes! And the join as you go-methode is always a good idea :) I will add this pattern as favorite on ravelry. And now find time to make it... ;) Thank you! Thank you! I love that it has lovely color without too much brain power. Believe me, I understand the challenge of too many projects in line.